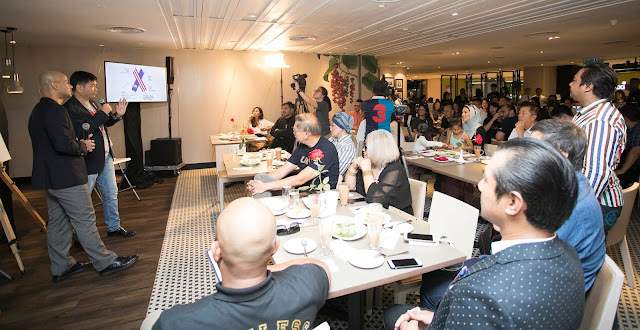 In conjunction with the upcoming National Day and Hari Malaysia celebrations, social enterprise, Projek57 officially launched the Unity Ribbon recently at Madam Kwan’s, Bangsar. Guests including (from left) Mr Zakri bin Mohd Khir, Dr. Hartini Zainnudin, Brig Gen Goh Seng Toh, Datin Maureen Ooi, Melissa Tan, Sharifah Sofia Syed Hussein, Kwan Swee Lian aka Madam Kwan, Collin Swee, Syed Sadiq Albar, Datuk Santokh Singh, Datin Dian Lee, Deborah Henry, Debbie Choa, Mr. Azrul bin Mohd Khalib) joined the co-founders in a show of support for the Unity Ribbon movement. 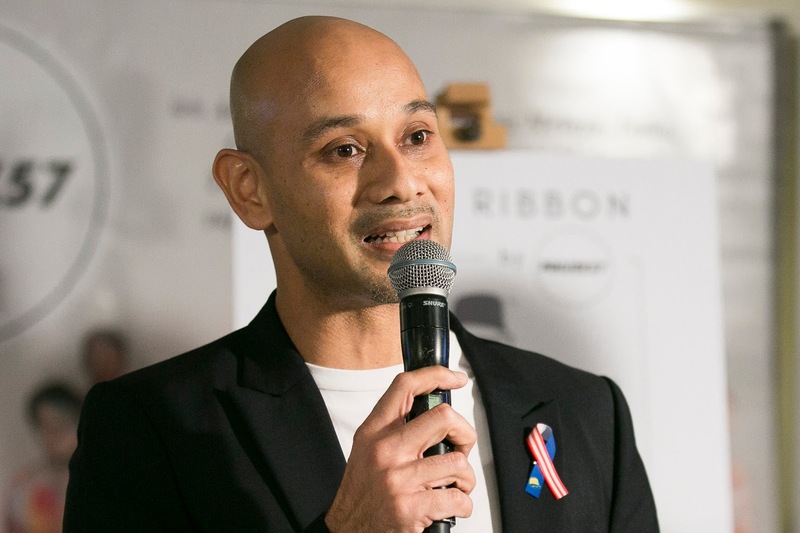 The Unity Ribbon is part of Projek57’s efforts to encourage Malaysians to embrace the spirit of Merdeka and Hari Malaysia by proudly wearing the Unity Ribbon and to spread the message of unity amongst Malaysians one ribbon at a time. 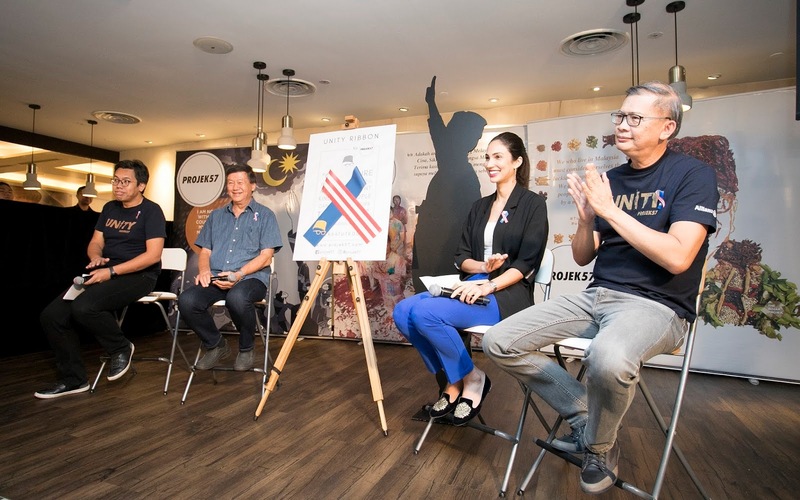 A dialogue session themed ‘Tak Kenal, Maka Tak Cinta’ was held as part of the Unity Ribbon launch, where panellists discussed the importance of unity and understanding one another in building a better Malaysia. The four-member panel comprised Deborah Henry, TV Host and Co-Founder of Fugee School; Zakri Bin Mohd Khir, Chief Executive Officer of Allianz Malaysia Berhad; as well as Brig Gen Datuk Goh Seng Toh, retired Malaysian Air Force Brigadier General and co-Founder of Uncle Lim Kopitiam. The panel was moderated by Azrul Mohd Khalib, Chief Executive Officer of Galen Centre for Health and Social Policy. (From left) Moderated by Azrul Mohd Khalib, Chief Executive Officer of Galen Centre for Health and Social Policy, the dialogue session comprised panellists Brig Gen Datuk Goh Seng Toh, retired Malaysian Air Force Brigadier General and co-Founder of Uncle Lim Kopitiam; Deborah Henry, TV Host and Co-Founder of Fugee School; and Zakri bin Mohd Khir, Chief Executive Officer of Allianz Malaysia Berhad who discussed various unity-themed matters. “Allianz Malaysia is proud to join Projek57 in their Unity Ribbon project, which is especially meaningful to us as it is a reminder that our identity as Malaysians comes before our differences. Allianz is always proud to support such initiatives that encourage and nurtures unity among Malaysians. As Tunku Abdul Rahman once said, ‘Our future depends on how well many different kinds of people can live and work together.’ This is what unity is about and we must remind ourselves not to lose sight of the vision our forefathers had,” said Zakri. Syed Sadiq Albar and Collin Swee sharing their aspirations for unity. 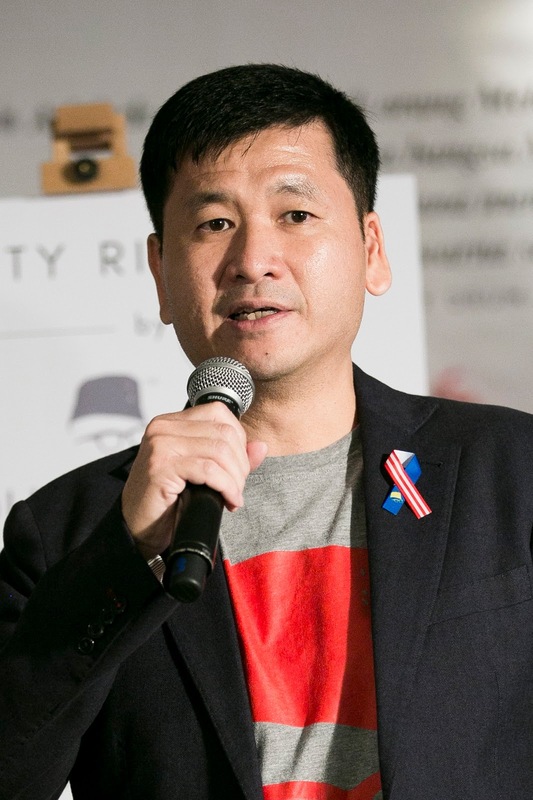 Launched in April 2018, the design of the Unity Ribbon was inspired by the Jalur Gemilang with blue symbolising unity, white for integrity and red for courage. The ribbon also features the iconic silhouette of our nation’s father of independence, Tunku Abdul Rahman in yellow, representing unity, diversity, acceptance and progressiveness. The Unity Ribbon can be purchased at RM2.50 each. RM0.50 of this amount goes to the underprivileged youth who produce the ribbon while the rest of the amount will be channelled into Projek57’s youth empowerment programmes. The Unity Ribbons are now available at Jaya Grocer, Nando’s Malaysia and MyNews.com outlets nationwide, as well as online at Projek57’s website https://www.projek57.com/product/unity-ribbon/. Projek57’s current partners for its Unity Ribbon are Allianz Malaysia Berhad, PLUS Berhad, Nando’s Malaysia, MyNews.com, Jaya Grocer, Touch N’ Go, Majalah Pendidik, Madam Kwan’s, CzipLee Books & Stationery, and Just Heavenly. For more information on the Projek57 Unity Ribbon campaign and Projek57, please visit www.projek57.com , www.projek57.com/unity-ribbon/, or the Projek57 Facebook at https://www.facebook.com/projek57/ and Instagram at https://www.instagram.com/projek57/ .